The world's biggest colony of king penguins is found in the National Nature Reserve of the French Southern and Antarctic Lands (TAAF). Using high-resolution satellite images, researchers from the Chizé Centre for Biological Studies (CNRS / University of La Rochelle) have detected a massive 88 percent reduction in the size of the penguin colony, located on Île aux Cochons, in the Îles Crozet archipelago. The causes of the colony's collapse remain a mystery but may be environmental. 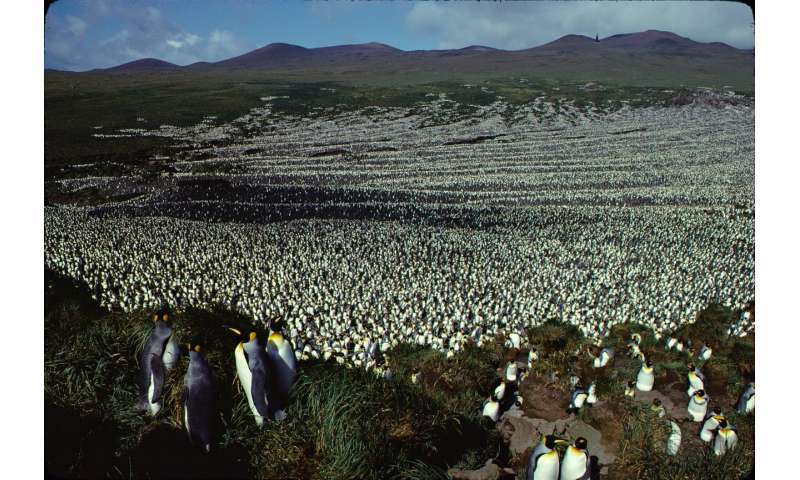 Known since the 1960s, the colony of king penguins (Aptenodytes patagonicus) on Île aux Cochons, in the southern Indian Ocean, had the distinction of being the world's biggest colony of king penguins and second biggest colony of all penguins. However, due to its isolation and inaccessibility, no new estimates of its size have been made in recent decades. The Chizé team used high-resolution satellite images to measure changes in the size of the colony since the island was last visited by a crew of scientists (1982). At the time, the colony included 500,000 breeding pairs and consisted of over 2 million penguins. 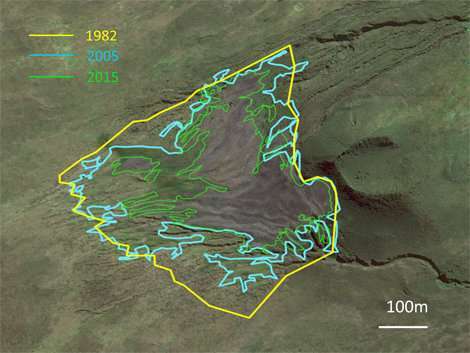 To calculate the area occupied by the colony at different times between 1960 and the present, the researchers studied changes in its contours over the years. 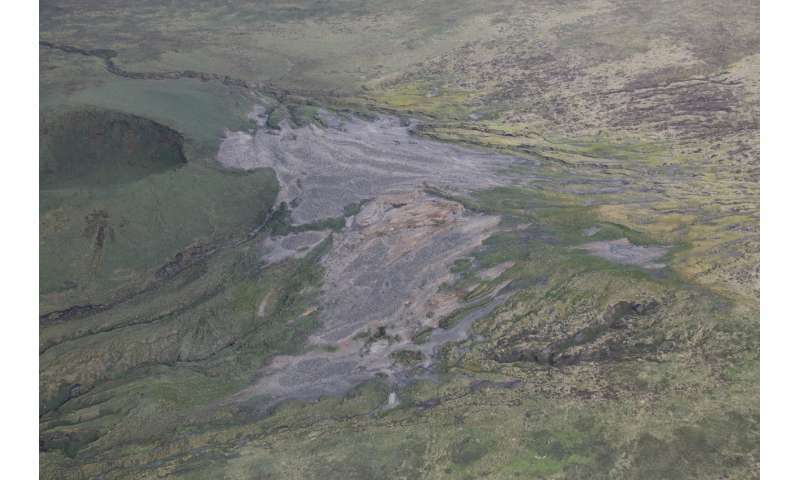 They found that the colony has shrunk, yielding its territory to encroaching vegetation. Photographs taken from a helicopter during the Antarctic Circumpolar Expedition confirm that the colony's penguin population has plummeted. Disease is another possibility. Avian cholera is currently ravaging populations of seabirds on other islands in the Indian Ocean, like the albatross of Île Amsterdam and the penguins of Marion Island.